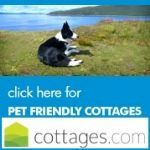 Pet & Dog Friendly Bed and Breakfast in Wales. 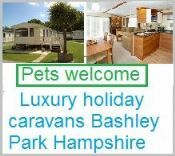 Guest Houses, Inn's & B&B where pets are welcome. 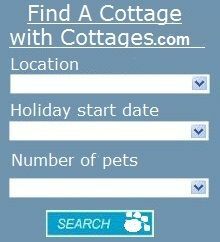 All the B&B's , Guest Houses & Inns featured on our site allow pets. 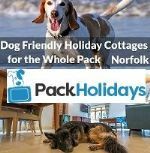 At 'Pet Holiday Finder' we only accept holiday accommodation that is pet or dog friendly, this means you can be sure that you will find a holiday that is perfect for you and your pet. You contact the property owner direct to place your booking. Bed & Breakfast pets welcome. There is a selection of double/twin and family rooms, all with televisions, wi-fi and tea & coffee making facilities. Surrounded by miles of beautiful mountainous scenery. Short drive to the coast and to the seaside town of Aberystwyth. We welcome dogs into our Bed & Breakfast. 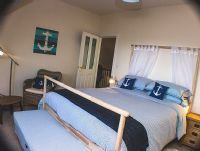 Located in a friendly little town on the North Wales Coast boasting views across to Puffin Island and the Great Orme . 3 bedrooms available. Bed & Breakfast. Secluded Farmhouse yet walking distance of dog friendly sandy beach, run by local historic family. Our home cooked scrumptious food and friendly, relaxed atmosphere will fill you with cheer and warm your heart. 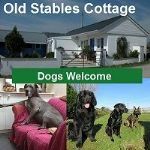 Dog friendly B&B Powys. Situated in the heart of the spectacular Mid-Wales scenery. 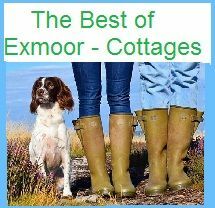 Ideal for holidays and Bed and Breakfast. 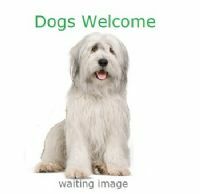 We can even arrange pet sitting should you need it. Bed & Breakfast. 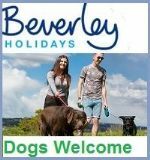 Thousands of acres of common land outside property for endless dog friendly walks. Many local attractions. Dog friendly local pub. We are close to Swansea, Gower and all the Gower beaches. Bed & Breakfast. Offering 4 bedrooms 1 that allows dogs. A cottage is also available. Surrounded by the rolling Welsh hills and fields in the stunning Marteg Valley. 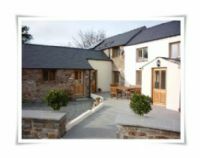 Offers a peaceful, secluded base for families, friends or single travelers wishing to explore the stunning Welsh countryside. Bed & Breakfast and camping is available. 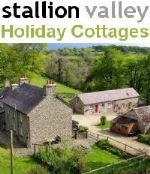 An ideal holiday location especially for families or groups with dog keen to visit The Black Mountains, Brecon Beacons, or walk the Offa`s Dyke Path. Bed & Breakfast. A completely restored 14th Century corn-mill. The lodge is situated just minutes from Dale in superb peaceful surroundings. Dog Friendly B&B. Pop in for a drink & fine food or stay overnight in one of the rooms. Some have their own private terraces or balconies from which to enjoy the afternoon and evening sun across open fields. 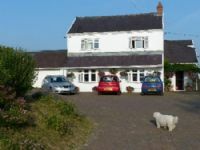 Dog Friendly B&B Powys. A working riding stables in the heart of the Brecon Beacons, opposite Craig-y-Nos Castle. Pentre offers a perfect base from which to enjoy a holiday, overnight stay or short break in this beautiful region. 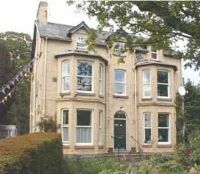 The bedrooms are comfortable with central heating and tea and coffee making facilities. Most rooms have showers and en suite is available. Our B&B offers 2 single rooms and either double/twin or family rooms. 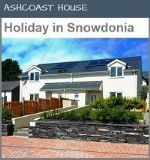 A small family run guest house situated at the quieter, Caernarfon end of the mountain resort of Llanberis and has fantastic views of Lake Padarn and the Snowdonia mountains. We offer Bed and Breakfast accommodation in luxury doubles, twin rooms and family rooms. A warm welcome awaits your arrival at Neuadd Wen, a relaxing environment, plenty of good walks with beaches and coastal paths close by. 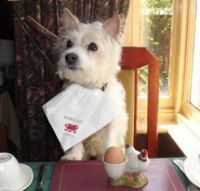 Dog Friendly B&B in Aberystwyth Ceredigion. 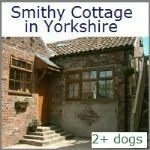 We love to welcome dogs here at Brynarth, Our letting rooms in our Barns are just perfect for people with dogs. Because we are in a rural, farming community all dogs must be kept on a lead at all times within our grounds. Peaceful en-suite B&B in heart of Llandudno, situated at the foot of the Great Orme in the heart of the Victorian seaside resort of Llandudno, North Wales.Located close to all the local amenities on offer in Llandudno to enable you to enjoy a pleasant holiday or short break, we are pet friendly, so why not holiday with your dog. Great walks/beaches. Eyarth Station B&B Ruthin, North Wales.